The statistic shows the top 20 destination countries for emigrants from Norway in 2017. Most of the emigrants moved to Sweden (4,874 persons). 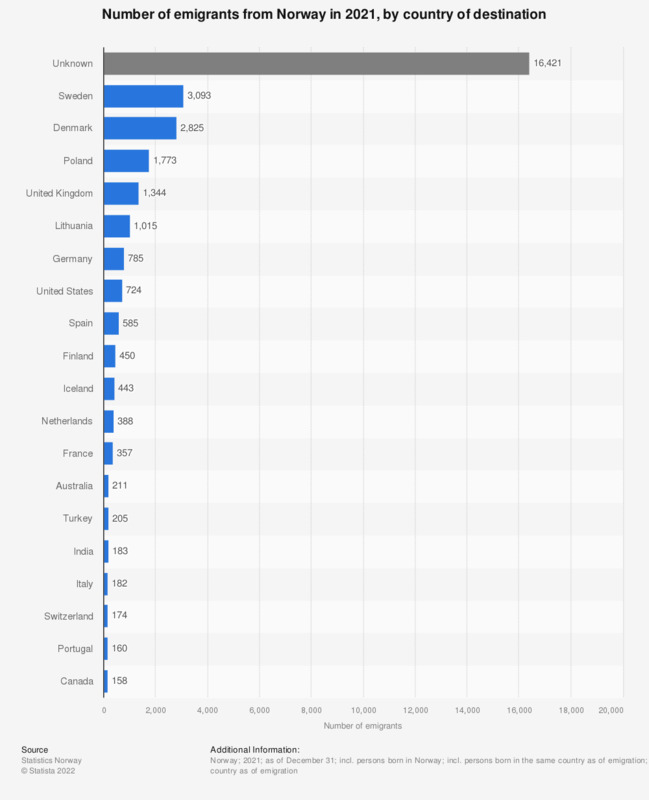 Denmark was the country of destination with the second most emigrants (3,262 persons), followed by Poland (2,363 persons).